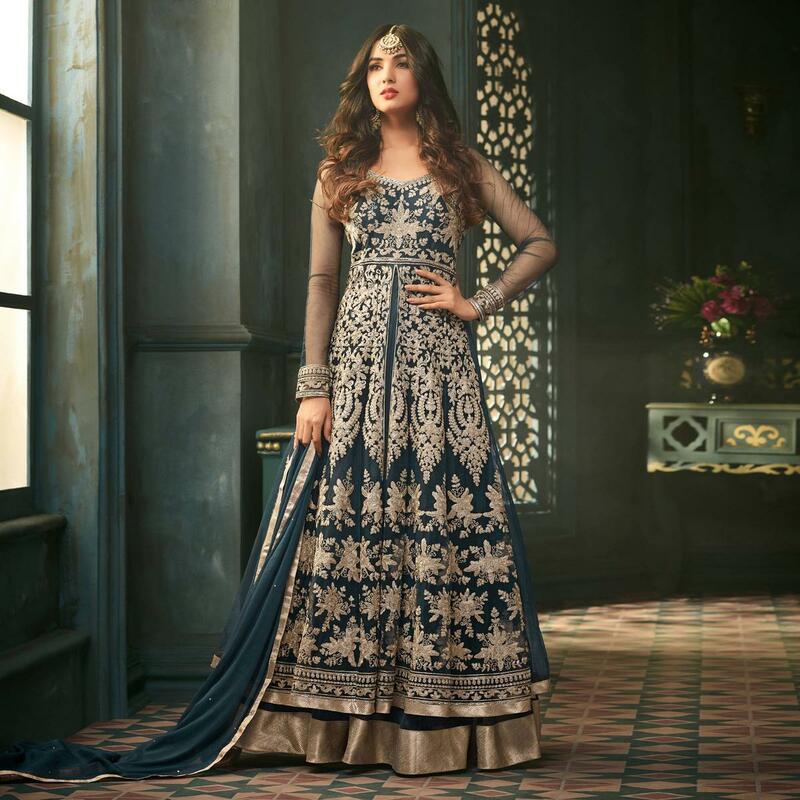 Look graceful and gorgeous donning this teal blue lehenga suit showcased by Sonal Chauhan which is perfect for parties, functions or special occasions. 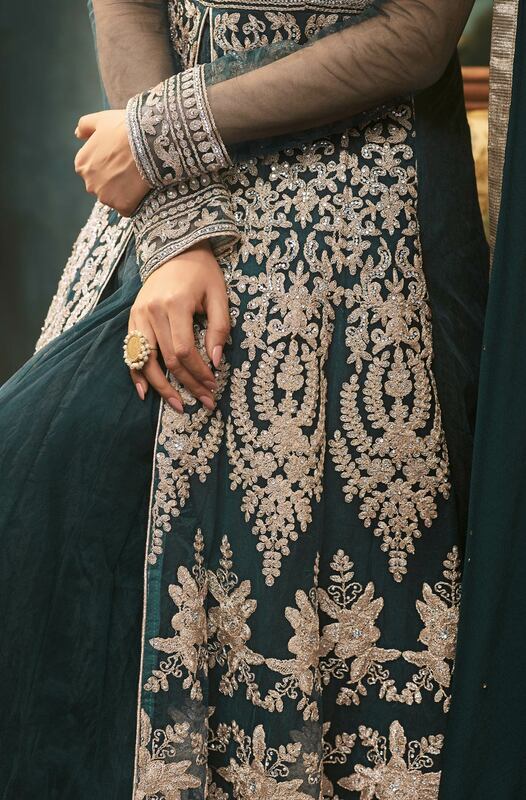 This semi stitched suit features soft net fabric top gracefully decorated with heavy embroidery work which gives an outstanding look to the viewer. 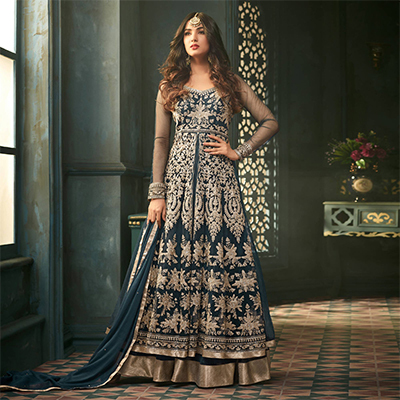 Teamed with santoon bottom and lining along with lace border chiffon dupatta. Grab this dress before someone else gets it and wear it. Pari it up with minimal ethnic accessories, high heels and you are good to go.